The following biographies are for the 2014-2015 AIB Executive Board. The board served from August 1, 2014 to July 31, 2015. Duties: The President presides at all meetings of the Academy and of the Executive Board, appoints and instructs all committees and is responsible for the strategic direction of the Academy and for supervising the functions of the other officers and of the Executive Director. Prof. Dr. Nakiye A. Boyacigiller is Professor of International Management and past Dean of the Sabanci School of Management at Sabanci University in Istanbul, Turkey. Born in the US and educated in Turkey, France and the US, Dr. Boyacigiller’s research, teaching and leadership activities all reflect her interests in enhancing the effectiveness of multicultural work groups and cross border collaboration. Her research on cross cultural management has appeared in leading academic journals and research compendiums. Her work (with Schon Beecher, Orly Levy and Sully Taylor) was supported by the NSF and has focused on the conceptual foundations and importance of developing a global mindset as well as the challenges of creating a shared organizational culture in global organizations. Dr. Boyacigiller received her doctorate from the Haas School of Business, University of California, Berkeley, her MBA degree from the Anderson School at the University of California, Los Angeles, and her BA degree from Bogaziçi University, Istanbul, Turkey. 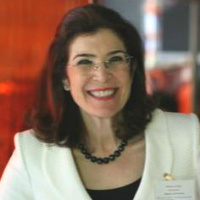 Prior to joining Sabanci University she served on the faculty of San Jose State University for 17 years, and has taught at the Anderson School at UCLA, the Haas School at University of California, Berkeley, the Stockholm School of Economics, Bilkent University, and Bogaziçi University. An award winning teacher, Nakiye’s key areas of teaching are cross cultural management and organizational behavior. Her seminar on the cultural context of Turkish organizations is a favorite with both corporate and academic audiences. Boyacigiller was elected a Fellow of the AIB in 2007. Dean Boyacigiller has held leadership positions in several professional and academic organizations including most significantly her role as President elect and VP Programs for AIB (2002-04), Local Arrangements Chair for the 2013 AIB Annual meeting in Istanbul and Chair of the International Management Division of the Academy of Management (1996-97). She has served the AACSB (The Association to Advance Collegiate Schools of Business) as a member of its Board of Directors (2012-2014 and is currently a member of its European Advisory Council. In addition, Prof. Boyacigiller serves on the advisory boards of WU (Vienna University of Economics and Business), Cyprus International Institute of Management), KAGIDER (Women Entrepreneurs Association of Turkey), the Istanbul Policy Center , Make a Wish Foundation, Turkey and DLD (Change Leaders Assocation) of Turkey. Founded in 1999, Sabanci University has established a reputation as one of Turkey’s top research universities and in 2012 was recognized by the Ministry of Science, Industry and Technology as Turkey’s most entrepreneurial and innovative university. During Boyacigiller’s tenure as dean, the Sabanci School of Management more than doubled the number of its faculty members, launched several new programs, increased its student numbers more than tenfold, achieved AACSB International accreditation and signed a strategic partnership agreement with MIT Sloan School of Management. Duties: The President-Elect shall act for the President in case of the President's absence or disability and shall perform other duties as the Executive Board may prescribe. The President-Elect shall succeed the current President at the termination of the President's year in office. 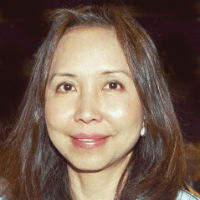 Rosalie L. Tung holds the Ming and Stella Wong Chair in International Business at the Beedie School of Business, Simon Fraser University. Through an election of her peers, she has served a five-year term on the Executive Committee of the Academy of Management, including the position of President in 2003-2004. She has been inducted as a Fellow of the Royal Society of Canada, a Fellow of the Academy of International Business, a Fellow of the Academy of Management, a Fellow of the British Academy of Management, and a Fellow of the International Academy for Intercultural Research. She is the winner of the 1998 Vancouver YWCA Woman of the Year Award in Management, the Professions and the Trades, and received the 1997 American Society for Advanced Global Competitiveness Research Award. Rosalie is the author or editor of eleven books and has published widely on the subjects of international management in many journals. Her research has been cited in leading national and international newspapers and news magazines. Rosalie was formerly a Wisconsin Distinguished Professor, Business Administration, with the University of Wisconsin System. She also held the position of Director, International Business Center at the University of Wisconsin-Milwaukee. She has also served on the faculties of the Wharton School (University of Pennsylvania), University of Oregon, and as a visiting professor at the University of California-Los Angeles, the University of Manchester Institute of Science and Technology (England), the Copenhagen Business School (Denmark), the Chinese University of Hong Kong, Peking University, and China Europe International Business School (Shanghai, China). She has served on the United Nations’ Task Force on Human Resource Management and was among the first foreign experts to teach at China’s Foreign Investment Commission (now known as the Ministry of Commerce). Dr. Tung has been actively involved in the Academy of International Business for over three decades and has served as a Treasurer and member of the Executive Board. Rosalie has also served as Secretary of the AIB Fellows and chaired several of its committees. She was the 2007-2010 Editor of International Human Resource Management, Cross-Cultural and Comparative Management for the Journal of International Business Studies. She was also the Senior Editor of International Human Resource Management for the Journal of World Business for many years. Dr. Tung has lectured widely at leading universities throughout the world and is actively involved in management development and consulting activities around the world. Duties: The Immediate Past President remains a member of the Executive Board for one (1) year immediately following his or her term of office as President. The Immediate Past President perform various duties as the Executive Board may prescribe. Robert Grosse is Director of George Mason's Center for Global Business, Innovation and Transformation. The Center is a part of the School of Management, focusing on academic research in global business and development of programs and conferences in all three areas of global business, innovation, and organizational transformation. Before joining George Mason University, Professor Grosse was the Director (Dean) of the EGADE Business School at Monterrey Tec in Mexico. He joined the Tec in early 2009, after teaching in a videoconference joint venture MBA between Thunderbird and the Tec since 1998. He oversaw the EGADE campuses in Monterrey and Mexico City. Professor Grosse was the founding Director of Standard Bank Group's (South Africa) Global Leadership Centre, which is designed to offer leadership development training to the Group's 11,000 managers and executives. He joined the Group in March of 2006, and worked with the team overseeing the design of curriculum, recruiting of instructors, completion of physical facilities, and launch of all the Centre's programs in October 2006. He became the overall head of Leadership Development and Learning in July of 2007. He holds a B.A. degree from Princeton University and a Ph.D. from the University of North Carolina, both in international economics. He has taught international finance in the MBA programs at Thunderbird, the University of Miami, the University of Michigan, and at Instituto de Empresa, as well as in many universities in Latin America. He has consulted for the US Treasury Department, the United Nations, and many companies including American Express, Anaconda, Banco Ganadero, Chase Manhattan Bank, EXXON, IBM, Merrill Lynch, Texaco, YPF, and Xerox. He held the Asesores Bursatiles Chair in Capital Markets at Instituto de Empresa (Madrid) and the Conti Chair in Global Management at Thunderbird. 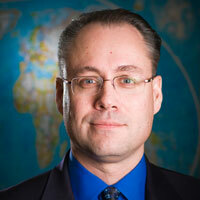 Professor Grosse is a leading author on international business in Latin America. He has written about global firms' strategies in the region (Can Latin American Firms Compete?. Oxford, 2007), three books and a dozen articles about financial crises in the region, and cases about strategies of Latin American firms in international competition (Enersis, Banco Ganadero, YPF, and LanChile, among others). He wrote "International Business in Latin America" for the Oxford Handbook of International Business (Oxford, 2001). He is a Fellow of the Academy of International Business, and a Fellow and Past President of the Business Association of Latin American Studies. Duties: The Vice President Program serves as the Program Chair of the Annual Meeting and performs other duties as the Executive Board may prescribe. Ram Mudambi is Professor and Perelman Senior Research Fellow at the Fox School of Business, Temple University. He is the Executive Director of the Institute for Global Management Studies and of Temple CIBER. He served as Chair of Department of Strategic Management from 2007-2010. He is an Honorary Professor at the University of Leeds, a Dunning Fellow and visiting Professor at the University of Reading and member of advisory council of the University of Bradford Centre in International Business (BCIB). Dr. Mudambi has been elected a Fellow of AIB. He has served as Junior Faculty Consortium Chair at AIB 2008 (Milan), and as Track Chair at AIB in 2009 (San Diego), 2011 (Nagoya) and 2012 (Washington DC). He will serve as a Track Chair at AIB 2013 (Istanbul). He has served as a Track Chair at EIBA in 2007, 2009 and 2010. He served as a Track Chair at SMS 2011 (Miami). He is the Book Review Editor of JIBS, where he has also won a Best Reviewer Award. Dr. Mudambi has written six books and published over 80 articles in such business journals in JIBS, SMJ, JoM, MIR, IBR, SEJ, JBV and AMP. He has also published in economics and quantitative methods where his work has appeared in journals such as the Journal of Political Economy, the Journal of Economic Geography, Research Policy, and the Journal of Applied Statistics. He is an Associate Editor of GSJ and serves on the editorial review boards of JIBS, MIR, JWB, MBR, APJM and Industry and Innovation. He has taught Executive Education courses in the UK, Italy, Switzerland, Luxembourg, Tokyo and Singapore as well as the US. He has consulted widely in the US, Europe and Asia. As Executive Director of Temple’s CIBER, he is responsible for the University's numerous global engagement activities. These include a program supporting IB education for school students in grades K-12, Temple engagement in the Global Business Project education program for MBA students and programs aimed at promoting IB education at schools serving minority communities. Prior to coming to Temple, Dr. Mudambi taught at Case Western Reserve University, the University of Reading (UK) and the University of North Carolina (Chapel Hill). He earned his Ph.D. from Cornell University and his Master’s degree at the London School of Economics. Duties: The Vice President Program-Elect assists in the development of the pre-conference activities of the Annual Meeting and performs other duties as the Executive Board may prescribe. The Vice President Program-Elect succeeds the Vice President Program at the termination of the Vice President Program’s year in office. Charles Dhanaraj joined IMD in January 2014 as Professor of Strategy and Global Leadership. Prior to that he served as an associate professor of management at the Kelley School of Business, Indiana University. In addition, he has been a visiting professor at Ivey (Canada), ISB (India), CBS (Copenhagen), Grenoble (France), FDC (Brazil), and Kellogg (USA). 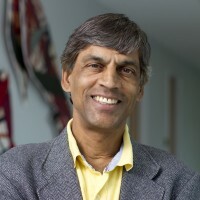 Professor Dhanaraj’s research, teaching and consulting interests cover three related areas: (i) Leadership and strategy in the global enterprise, with a focus on emerging markets; (ii) Strategy for innovation for both multinationals and indigenous firms in emerging markets; and (iii) Managing the complexities of collaboration, with a focus on cross-border alliances. He has published five articles in Journal of International Business Studies, one of which had received the Best Paper Award at the AIB 2004 Conference at Stockholm, Sweden. He has also published in several top-tier journals, and several award-winning cases. An engineer from IIT Madras, Charles worked in India for six years. He received his MEng degree in Robotics from Memorial University of Newfoundland, MBA from Wilfrid Laurier University, and a PhD from Ivey Business School. His thesis received the best thesis award from the Academy of Management International Management (IM) Division of the (2001), and was a finalist for Gunnar Hedlund Award (2000), and Organization Sciences’ best dissertation proposal award (1998). He is an associate editor for Journal of Management Studies and serves on the editorial boards of JIBS, MIR, SMJ, GSJ, and MBR. He is also a guest editor on a special issue on "Asian Models of Leadership" for Leadership Quarterly, and another special issue on "Indian Multinationals" for MIR. He is an active member of the AIB since his doctoral days at Ivey and has served in several capacities. He was the chair of AIB Doctoral Consortium twice, in 2005 at Montreal and in 2010 at Rio-de-Janeiro, and a track chair for the AIB 2012 conference at Washington DC. He was a member of the taskforce on AIB Publication Strategy, commissioned by the AIB board in 2012. He served as the IG Chair, Program Chair, and Associate Chair for the Global Strategy interest group at the Strategic Management Society (SMS), co-chaired two SMS special conferences in India, and recently chaired IM Division’s 2013 doctoral consortium at Orlando. Charles is married to Jayanthi, and they have two adult children, Ruth and Chris. They have lived and worked in India, Canada, Singapore and USA prior to their current move to Switzerland. Duties: The Vice President Program remains a member of the Executive board, as Vice President Program-Past, for one (1) year immediately following his or her term of office as Vice President Program. The Vice President Program-Past provides guidance to the Vice President Program and performs other duties as the Executive Board may prescribe. The Vice President Program-Past acts for the President in the absence of the President and the President-Elect. Klaus Meyer is a Professor of Strategy and International Business. He is currently teaching at the China Europe International Business School in Shanghai, China, having previously taught at the University of Bath, the University of Reading, both UK, and Copenhagen Business School, Denmark. In addition, he held semester visiting positions at Hong Kong University of Science and Technology and National Cheng-chi University in Taipei. Klaus Meyer obtained his PhD from London Business School, UK, with a dissertation on foreign investment in transition economies. He also holds a Master degree from University of Göttingen, Germany, having spent one year of this education at the University of California at Santa Barbara, USA. He has also spent two years in banking with the Nord/LB in Braunschweig, Germany. Klaus Meyer's research focuses on strategies of multinational enterprises in emerging economies, especially in Eastern Europe and East Asia. He is in particular interested in how firms adapt their business strategies to the specific conditions prevailing in each host economy. He has thus investigated foreign investor entry and growth strategies, starting with the choice of entry mode. His research also extends to economic questions such as the impact of foreign investors on the economic transition and development of the host economies. A new line of work focuses on the motivations and strategies of multinational enterprises originating from emerging economies such as China. Across this work, a central theme has been how the context in which businesses operate, especially the institutional framework, affect firm strategies and practices. Klaus Meyer has published eight papers in the Journal of International Business Studies, in addition to over 40 further papers in outlets such as Journal of Management Studies, Strategic Management Journal and other journals. He is also, with Mike Peng, author of the textbook "International Business" (Cengage, 2011) designed for the European market. Responsibilities with scholarly associations and journals include the role of senior editor of the Asia Pacific Journal of Management, and a Consulting Editor of the Journal of International Business Studies. In the past, he also served the AIB community as book review editor for the Journal of International Business Studies (2000-05), and he gathered experience in the organization of conference programmes, among other roles, as track chair for the AIB conferences in Beijing (2006), Rio de Janeiro (2010) and Nagoya (2011). 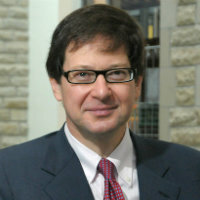 Professor Meyer maintains a personal website and a blog on international business affairs at: www.klausmeyer.co.uk. Duties: The Vice President Administration has oversight responsibility for finances, membership and chapter relations and performs other duties as the Executive Board may prescribe. He or she supervises the work of the Executive Director, including reviewing all financial statements and approving major expenditure requests. In the event that more than one officer serves as Vice President Administration on the Board, the President determines the type and sequencing of those responsibilities between the officers. 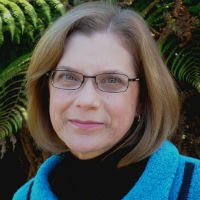 Beth Rose is Professor of International Business at Aalto University School of Economics (formerly known as Helsinki School of Economics) in Finland, having previously held appointments in the U.S. (University of Southern California) and New Zealand (University of Auckland and Victoria University of Wellington). She holds a BSE from Princeton University and an MSE, an AM, and a PhD from the University of Michigan. Beth's core research interests pertain to global strategy and internationalization, especially foreign direct investment and multimarket competitive interactions. She has a long-standing interest in the Japanese business context, and emerging interests that include the globalization strategies of small- and medium-sized firms and internationalization in the service sector. Her work has been published in a variety of outlets, including Journal of International Business Studies, Strategic Management Journal, and Management International Review. She has been a member of several editorial review boards, including JIBS (2004-2007). A long-time member of AIB, Beth served on the Richard N. Farmer Dissertation Award committee for four years, chairing the committee in 2006-2007. (She is currently chairing the comparable committee - the Richman Award - for the Academy of Management's International Management Division.) Beth has participated in AIB doctoral consortia as a faculty panelist, and was a member of the selection committee for the 2007 SAMS/AIB best proposal award. She has also been a track chair for AIB conferences (2008 and 2011), and received an AIB best reviewer award in 2009. Beth is completing her term as the founding chair of the AIB's Australia and New Zealand chapter. She has also played key roles in two affiliated groups. During 2004-2011, she served two consecutive terms as president of the Australia and New Zealand International Business Academy (ANZIBA), which has a close association with the local AIB chapter. In addition, she has just completed a two-year term as president of the Association of Japanese Business Studies (AJBS), which holds its annual meetings in conjunction with the annual AIB conference. Beth is a dual citizen of New Zealand and the U.S.
Jeremy Clegg is Jean Monnet Professor of European Integration and International Business Management, and Director of the Centre for International Business University of Leeds (CIBUL), United Kingdom. He was Division Head of International Business in Leeds University Business School from 2000 to 2008, and has been an AIB member since the mid-1980s. His PhD in Economics, awarded by the University of Reading, UK, jointly won the 1985 AIB International Competition for Best PhD Thesis in International Business (now the Richard N. Farmer Dissertation Award). In 2007 he received the AIB President’s Award (now the John H. Dunning President’s Award) for his work with the UK & Ireland Chapter. 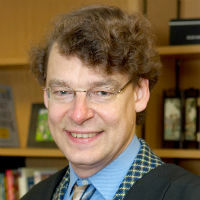 Professor Clegg has served on many university committees at Leeds since his appointment in 1996, including the Professorial Promotions Committee for two terms. He is currently an elected member of Senate. Within the academic community of the UK he is the co-founder and co-chair of a new special interest group in International Business and Management within the British Academy of Management. He has served as a member of the editorial review board of JIBS, and is a book review editor for the International Business Review. Since 1997, he has been a Jean Monnet chairholder (awarded by the European Commission). His research interests have branched out from the determinants of foreign direct investment, into FDI and regional integration, and the impact of foreign-owned firms on productivity and performance in emerging economies, particularly China. His work on outward FDI by Chinese firms has received research funding from the European Union. In 2008/9 he was a visiting fellow at UNCTAD in Geneva, developing a collaborative project on the impact of national and regional policy changes on FDI. His research, which employs both quantitative and qualitative methods, has been published in all of the major journals in International Business. Professor Clegg was elected UK chapter chair in 2001, and re-elected in 2004. His strategy for expanding the membership of AIB within the UK, by offering greater value and improving membership communication, raised the Chapter’s profile and performance. In 2006 he extended these improvements by leading the national chapter into a union with AIB colleagues in the Republic of Ireland, forming the AIB UK & Ireland Chapter. The Chapter’s annual conference came to be regarded as international caliber, attracting as many participants from outside the region as within, while remaining welcoming and accessible to all new researchers. 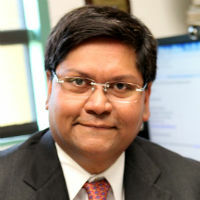 Sumit K. Kundu is the James K. Batten Eminent Scholar Chair in International Business at Florida International University. He earned his Ph.D. from Rutgers University. Dr. Kundu is the Academic Director of the Masters of International Business (MIB) program and served previously as the Director of the Executive MBA program and Ph.D Coordinator at FIU. Dr. Kundu has taught several international business courses at both the graduate and undergraduate levels at FIU, Saint Louis University, State University of New York, Northeastern University, and Rutgers University. His extensive international experience includes teaching at Chulalongkorn University (Thailand), City University of Hong Kong (China), Saint Louis University Madrid Campus (Spain), Indian Institute of Management and Indian Institute of Foreign Trade. Dr. Kundu has received several research and teaching recognitions, including FIU Research Award, Best Professor in Professional MBA program, Best Professor in International MBA program, Best Professor award in MIB program, Outstanding Teacher in Executive MBA program, and Best Course award in MIB program. Dr. Kundu was named Outstanding Graduate Teacher of the Year, Teacher of the Year for Executive MIB program, and Teacher of the Year for the MBA program at Saint Louis University. Dr. Kundu’s research interests encompass multinationality and performance, emerging market multinationals, born global and born regional firms, offshoring and outsourcing, internationalization of service firms, and theory of MNE. He has published articles in Journal of International Business Studies, Journal of Management Studies, R&D Management, Management International Review, Journal of World Business, Journal of International Management, Journal of International Marketing, Journal of Business Research, Journal of Business Ethics, Leadership Quarterly and Small Business Economics. He also serves on the editorial boards of several international journals. 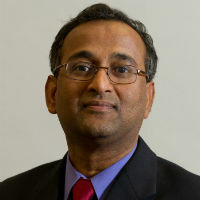 Dr. Kundu served as a chair and/or member on ten dissertation committees. Dr. Kundu served as the track chair for AIB conferences in 2004 Stockholm; 2008 Milan; 2009 San Diego; and 2011 Nagoya. He organized the Junior Faculty Consortium at the AIB 2006 Beijing and the Doctoral Consortium at the AIB 2012 Washington DC conferences. He has also served as the President for the AIB Midwest Chapter. He currently serves as the Conference Co-Chair and Local Host Representative for AIB Southeast 2014 Conference to be held in Miami. Dr. Kundu has been a consultant to several multinational corporations – Novartis, MasterCard International, Ingersoll Rand-Hussmann International, Boeing, and CPI-Sears Portrait Studio. His corporate experience includes Phillips Petroleum PLC, Fedders Lloyd PLC, and India Foils PLC. Duties: The Executive Director is responsible for the administration and supervision of the Secretariat under the overall strategic direction of the Executive Board and reports to the President on a regular basis. Dr. Tomas Hult is the Byington Endowed Chair, Professor of Marketing and International Business, and Director of the International Business Center (IBC) in the Eli Broad College of Business at Michigan State University (John W. Byington, a marketing research expert, was a former president of the NPD Group Worldwide Inc.). He has been at Michigan State University since January 2001. IBC is one of the 17 centers designated by the U.S. Department of Education as a country-level resource in international business and trade (i.e., CIBER). His focus areas are global supply chain management, international business, global strategy, and marketing strategy. These areas nicely intersect on his radio program globalEDGE Business Beat on the Michigan Business Network (MBN), available worldwide on globalEDGE. Dr. Hult has been the Executive Director of the Academy of International Business (AIB) and President of the AIB Foundation since 2004. He is President and Board Member of the Sheth Foundation, and board member of the International Trade Center of Mid-Michigan (Founding Board Member) and the Economic Club of Greater Lansing. The Mayor of Lansing appointed Dr. Hult to the Lansing Regional Sister Cities Commission in 2014. Dr. Hult has previously served as President of the coalition of CIBER schools in the USA that are funded by the U.S. Department of Education. The IBC is an affiliate of the U.S. & Foreign Commercial Service of the U.S. Department of Commerce (USDoC). Since 2012, Tomas Hult serves on the USDoC affiliated District Export Council. Dr. Tomas Hult is a well-known keynote speaker and executive trainer on global supply chain management, global strategy, and marketing strategy. In research, Hult was ranked the 75th "most cited scientist in economics and business" (and 3rd in marketing) in the world by Thomson Reuters in their Essential Science Indicators covering a period from 1997 to 2007. In a 2012 study by Aguinis et al. 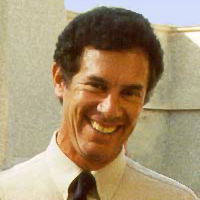 (in the Academy of Management Perspectives), Hult was 6th among influential scholars who received their degrees since 1991 (he received his degree in 1995). Based on the Microsoft Academic Search, Tomas Hult is in the top 5 authors in "business administration and economics." He is an elected Fellow of the Academy of International Business (one of only 82 scholars in the world bestowed with this honor, and one of only 6 marketing scholars). Contact Tomas Hult at +1.517.353.4336 (Office) or hult@msu.edu (Fax: +1-517.432.1009). The address for regular mail is: Tomas Hult, Michigan State University, Eli Broad College of Business, International Business Center, 645 N. Shaw Ln., Room 7, East Lansing, MI 48864, USA. Or, browse the faculty page at Michigan State University at http://global.broad.msu.edu/hult for more information.